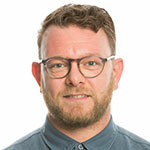 Thomas started teaching in higher education in 2007 as a sessional lecturer at University for the Creative Arts (UCA) on the BA (Hons) Fashion Management and Marketing pathway. He started teaching full time in 2013 when he moved to Hong Kong to teach a BA (Hons) in Fashion Marketing Management at Raffles International College. In 2015 Thomas moved back to the UK and taught Entrepreneurship, Business Development and Fashion Promotion at Ravensbourne University. Over the past 10 years, Thomas has developed and delivered high quality content in line with a number of academic awarding bodies. Thomas is an accomplished academic, he is currently undertaking a PhD within the School of Engineering based at The Nathu Puri Institute. He has an MA in Creative and Cultural Entrepreneurship from Goldsmiths, University of London, a BA (Hons) in Fashion Design with Marketing from Central Saint Martins and a Professional Diploma in Marketing from the Chartered Institute of Marketing. Before joining Higher Education full time in 2013, Thomas had a successful track record of developing creative communications and marketing strategies for fashion campaigns, not-for-profit projects and funded programmes. Thomas has worked with a number of funders, including project managing an Innovation in Giving pilot for Nesta, being marketing manager for a £5M Big Lottery Funded project and initiating a partnership between Goldsmiths, University of London and The Stephen Lawrence Charitable Trust called Youth Entrepreneurs. Since joining higher education, Thomas continues to bridge successful industry collaborations between institutes and high-profile brands including the Design Museum, Somerset House, H&M, Lane Crawford, American Rag and John Lewis. Thomas’s subject areas have covered entrepreneurship, marketing and management. Taught modules have included: Strategic Marketing, Enterprise and Entrepreneurship, Innovation, Product Development, Marketing and Communications, Brand Management, Design and Subcultures and Major Projects. In 2016, his cohort from Ravensboure University were shortlisted for 16 Graduate Fashion Week awards. Since joining higher education, Thomas has run a series of successful industry collaborations between higher education institutes and high-profile brands including the Design Museum, Somerset House, H&M, Lane Crawford, American Rag and John Lewis. Each collaboration has raised media attention while most importantly heightening the students’ learning experience. Thomas is currently designing modules for a massive open online course (MOOC) for The Institution of Engineering and Technology (IET) within his Research Fellow role at the Nathu Puri Institute. The working title for Thomas’s PhD is: Understanding engineers’ contribution to the organisational creative process within sustainable production solutions. He is due to complete his PhD in August 2020. In 2018, Thomas presented his research at the Global Engineering Congress at the Institute of Civil Engineers. Thomas is currently a freelance project manager for the Design Museum, delivering a higher education competition in sustainable engineering. The competition is funded by the Royal Commission for the Exhibition of 1851. It will launch in November 2018 and conclude in May 2019. For more information about this project, please contact Thomas on the details above.